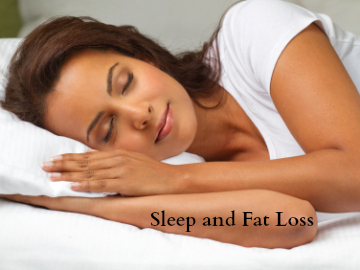 Do You Want to get Healthier and Feel Better? Serve better food to your family that they will Really Like? 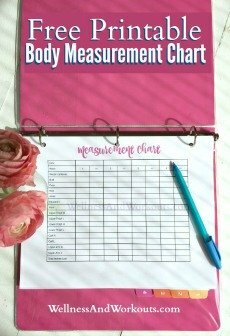 Find workouts that Actually Work? Welcome to Wellness and Workouts! Hi, I'm Eileen, and I've been on a quest for over 19 years now, looking for workouts that really work, truth about food and wellness, and healthy recipes that my family will love. There is so much confusion out there, so many "experts" with conflicting opinions. I have researched a lot, and sorted through some of those opinions for you. Please click the links and take a look around. Do I have all the answers? No, of course not! Nobody does. But I am always reading and learning and love to share when I find helpful information. Don't find what you are looking for? Please contact me, and let me know! I am adding pages to this site often. Please sign up for my RSS feed to learn of updates. And sign up for my free newsletter for valuable tips that go beyond what is posted on the site. 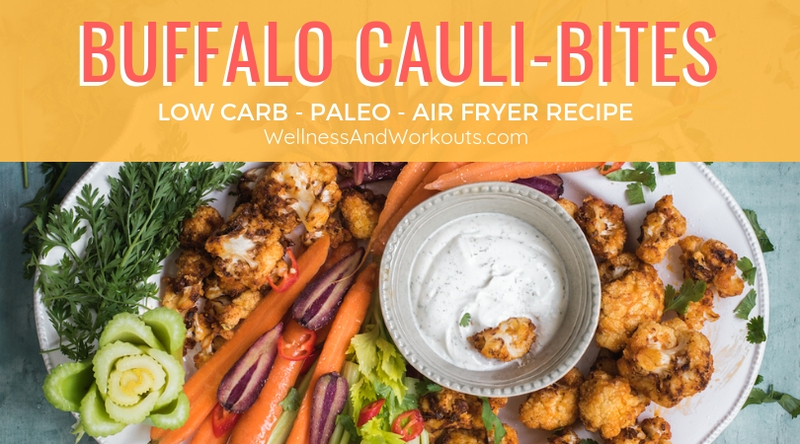 This buffalo cauliflower bites recipe is not only gluten free, paleo and low carb, but it turns out nice and crispy, thanks to the fact that it is made to use with an air fryer. How to Make a Smoothie--Twelve Enticing Ways! How to make a smoothie--here are twelve enticing smoothie recipes to help get you started! 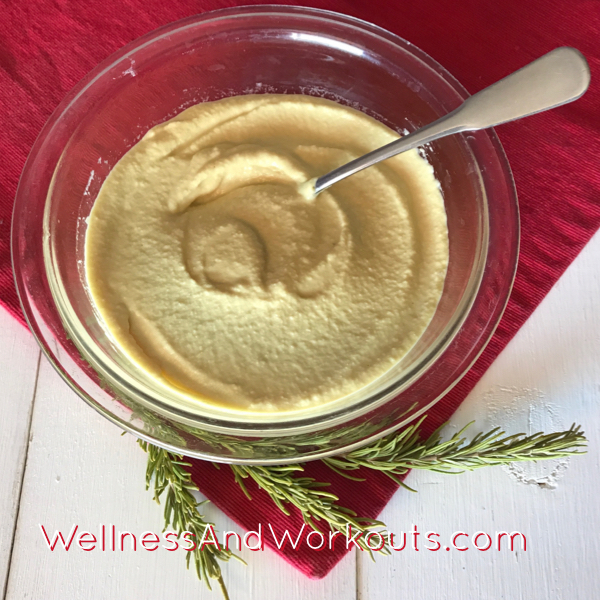 This dairy free cheese sauce is creamy and delicious, a great way to get that cheese-like taste and texture if you are avoiding dairy. Learn how to make a coconut milk smoothie with our easy Coconut Smoothie Recipes. For another easy coconut milk smoothie, try our Strawberry Banana Smoothie Recipe. Best Exercise for Fat Loss -- The Best exercise for fat loss (outside of kettlebells) for women who are beginners, or short on time, or want to improve their overall wellness is by Teresa Tapp. 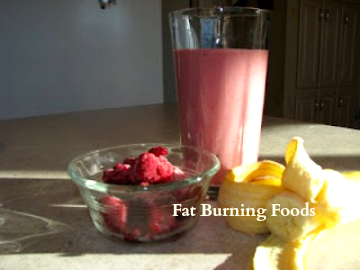 This has to be the fastest fat loss regimen of any 15 minute program that does not use weights. Super Quick! 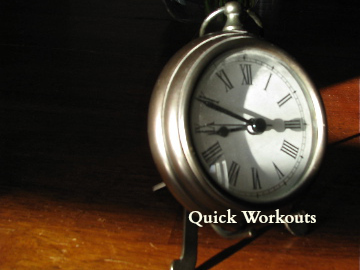 If you are looking for a more intense 10 minute routine, Lauren Brooks has created a fantastic interval training kettle bell program called Quick Full Body Fat Blast. 20 Minutes -- My new favorite 20 minute routine is Teresa Tapp’s T Tapp More Rehab Program DVD. It only takes one. Only one newborn baby. One newly adopted child. Just one older child is all it takes to completely re-define your idea of the word “busy” forever. Your concept of “free time" takes on a whole new meaning. And as this change is taking place, you realize that now, more than ever, you need to do all you can to take the best care of yourself. 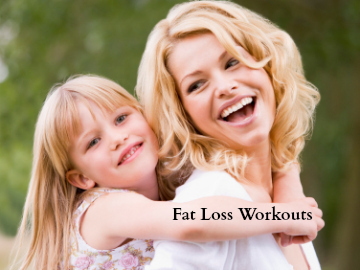 You want to be the best mom you can be, which means being the healthiest and strongest mom possible. That’s why I am here for you. There is no time now in your daily schedule for long, ineffective exercise routines. You need to know how you can get the best results you can get, in a short amount of time, and you don’t have the luxury of spending months or years on the internet to find your best options. Your personal wellness matters, it matters a lot. You need the best information, and you need it now!